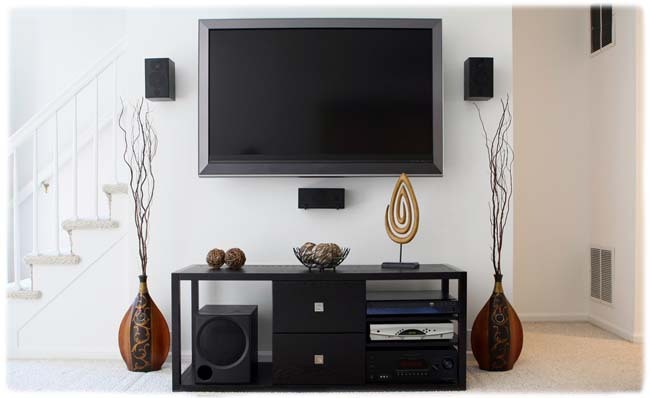 Digital Home Service is a Professional home theater installation service providers in city of Hyderabad and sec-bad. We serve upon booking an appointment time or can call to our service contact number. We have come up with creative solutions to install your home theater whether in your media room, outdoor room, game room, TV room or any other part of your home. We are specialized of installations on masonry surfaces such as: brick, stone, tile, cinder block, etc. For home theater installation look no further with doubts in your mind. Give us a call, we’re always happy to answer any of your questions. Along with Home theater installation service sometimes their needs to have TV wall mount work, which becomes a part for extend of beauty of your Theater setup in your home. 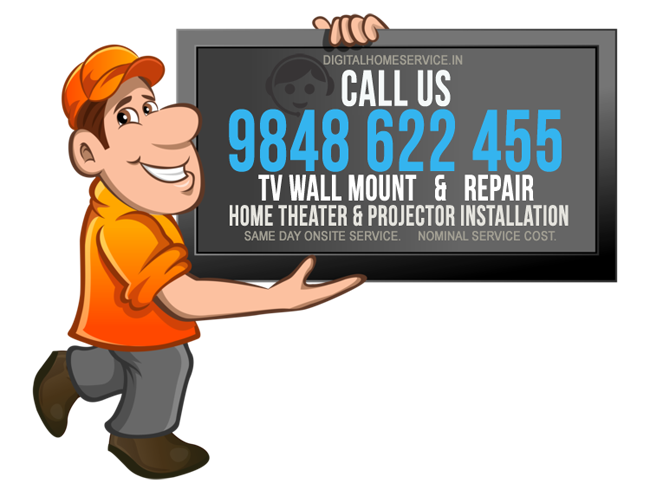 We also do Home theater repair and service along with installation. **We are not company warranty service providers, but a third party service providers work on service charges.